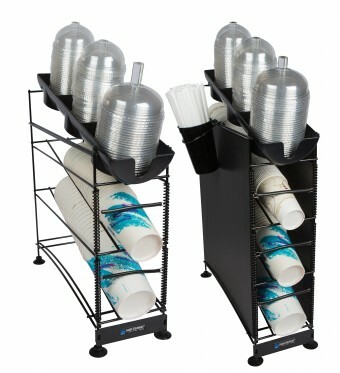 Wireworks™ Cup Dispenser & Lid Organizer is a hygienic and economic way to dispense cups one-at-a-time. Coils easily adjust to accommodate paper, plastic, or foam cups 8-44 ounces, while the top lid tray provides easy access to lids. 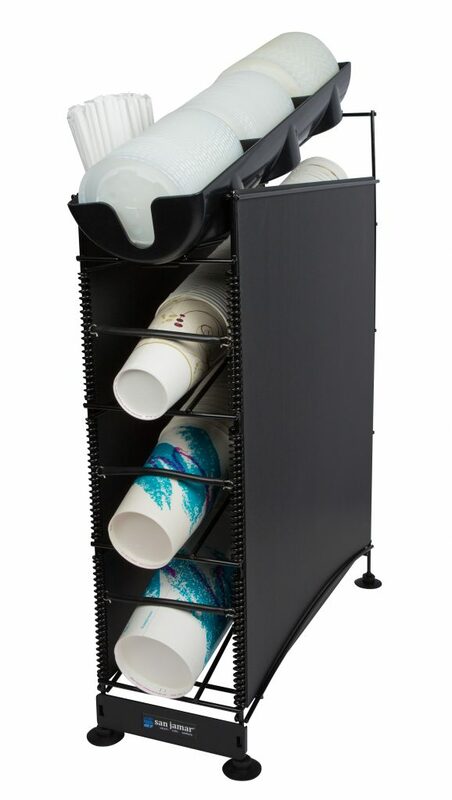 Wireworks™ features suction cup feet to hold unit securely in place and is available in models with and without side panels. Optional spindle organizes domed lids; straw caddy holds straws or stir sticks. 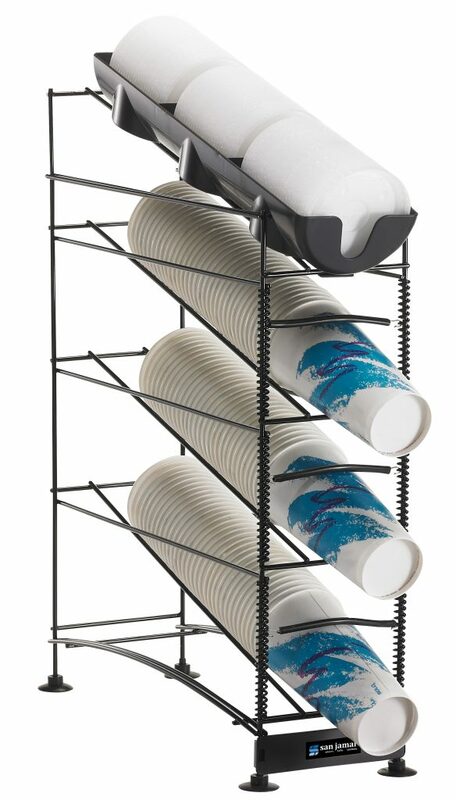 Cup & Lid Wire Organizers Our Cup & Lid Wire Organizers are a simple and economical way to organize cups and lids. Anti-slip feet keep the unit in place. 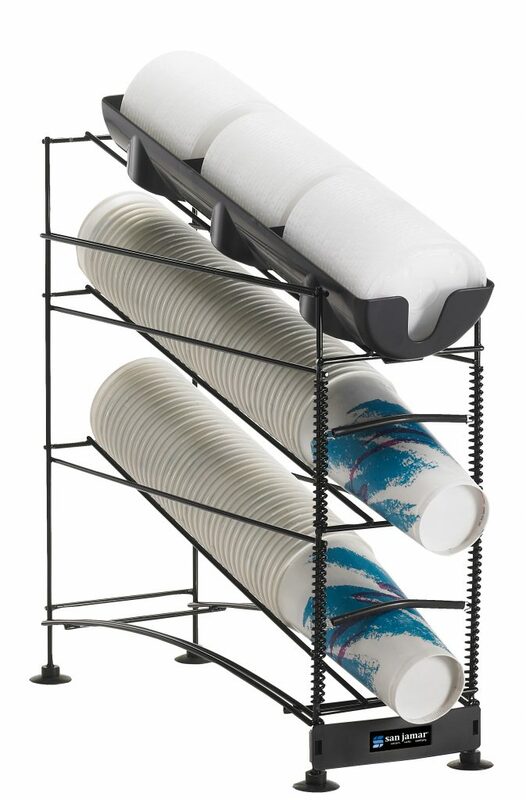 Available in 3 or 5-stack models, both include a straw caddy.